In the last week my Little Bird is trying his hardest to crawl, now army crawling across the room so I'm sure by Christmas he'll be everywhere! 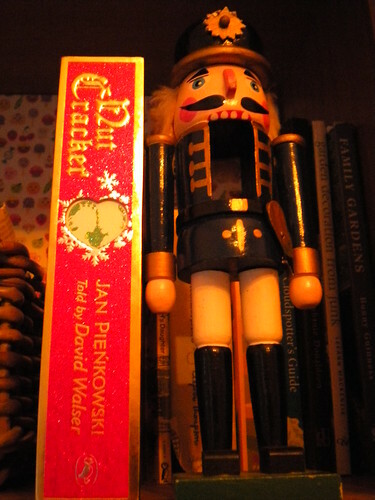 Fairy lights have been hung in all places and gradually all my old Christmas friends are appearing, namely Mr Nutcracker. 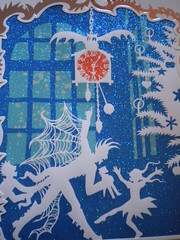 Last year, me, Mr Bird and then bump went to see the Nutcracker ballet and I was spellbound. 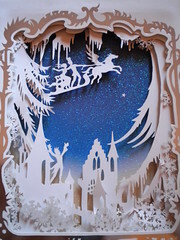 The book pictured has gorgeous paper cut silhouettes and Little Bird will not be getting his mitts on this for a good few years. Here in Mid Cheshire we do not get a lot of snow which is disheartening for a snow loon like me. How I long to be snowed in, for the shops to run out of bread and to have to rally round and help each other out. I'm the sort of person that gets a thrill from power cuts. However, it is boring here with a pityful amount of the gorgeous white stuff and I really wanted Little Bird to experience it properly. If it weren't for Mr Bird's work and grandparents then I would move somewhere far more exciting. 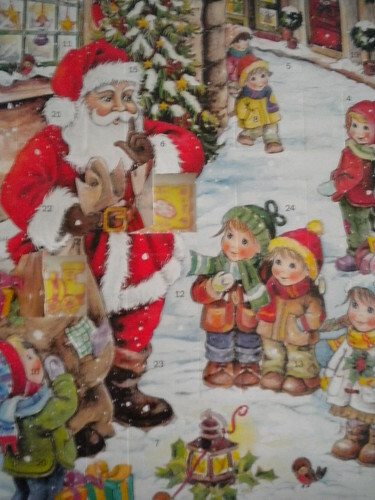 Instead, to cheer myself up I have been baking amongst my fairy lit kitchen and enjoying Advent calendar chocolate ( I have two calendars). One is lovely and traditional and the other is one of those cartoon horrible types but the chocolates ok. 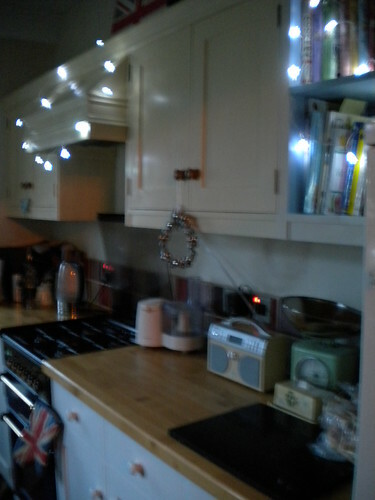 Tradition type was a bargain 86p from Lidl. I love European Christmas goods, I find it less commercial and tacky. Having said that, I do love a bit of gaudiness - pink flocked deers are just wonderful.